Weave wavy hair extensions is a hairstyle designed to make your hair look thicker. This type of hair extensions is usually used for people who have a quite thin hair and want to make their hair thicker so that they can be more confident in their daily life. 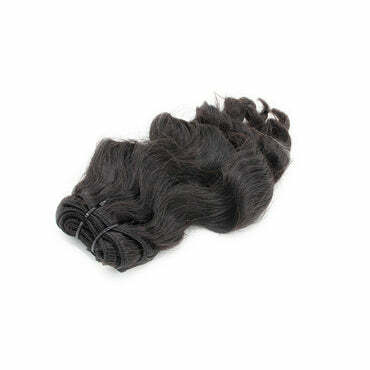 In weave hair extensions, the first step is preparing a strip of wigs sawn together. Then, people will braid the hair from one side of the ear to the other and use the needle to sew the prepared wig to that real braid. Weave hair extensions is a common method of hair extensions. 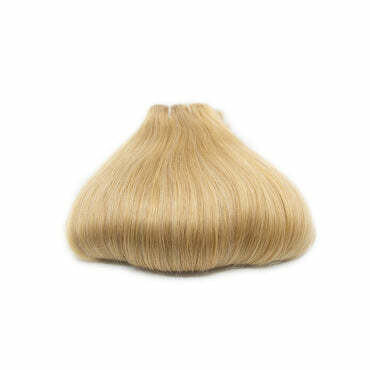 Nowadays, it is more widely applied, because the weave wavy hair is very firm and hard to fall out. Many people say that they are confident and comfortable with their hair as well as their appearance when using weave hair extensions. Among those different textures, we have some typical textures for different hairstyles, consisting of natural wavy weave hair, romantic curly weave hair, water wavy weave hair and hot stream wavy weave hair. 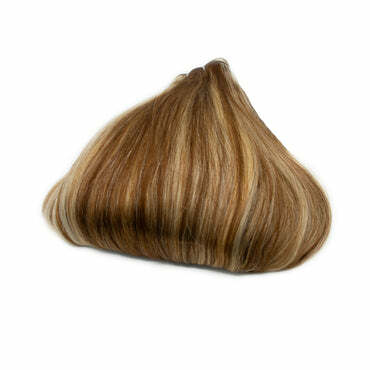 We also offer more hair textures, which brings you many options when choosing the suitable hairstyle for yourself. We also exporting our hair products with a variety of hair standards, including single drawn, double drawn….. Hair standard helps to show the difference in the amount of short hair mixed in the weave hair extensions. 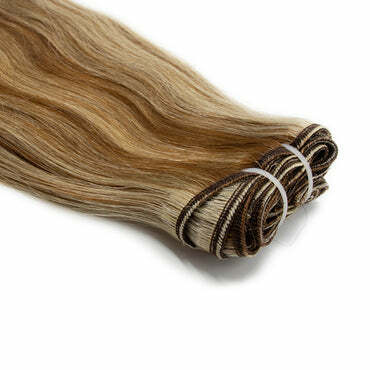 And, Weave wavy hair light brown color A++ here means that it is the Double drawn hair. About length for weave hair extensions, we produce hair products with different lengths. Several options for you are 8 inches weave hair, 10 inches weave hair, 12 inches weave hair, 14 inches weave hair, 16 inches hair weave hair, 18 inches weave hair, 20 inches weave hair, 22 inches weave hair, 24 inches weave hair, 26 inches weave hair. 28 inches weave hair, 30 inches weave hair, 32 inches weave hair. The product of weave hair extensions is a hairstyle which is quite long we are always happy to provide you. Made of 100% Vietnamese hair without chemical or mixed with synthetic hair. 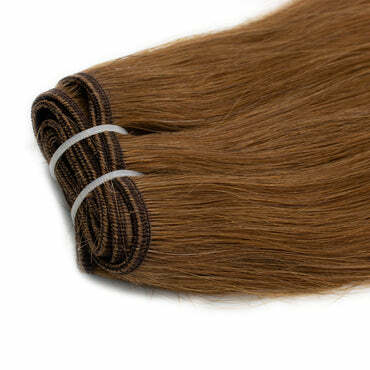 Machine weft hair extension may cause damage to thin and weak hair. Braid your real hair into a strip from this ear side to the other. 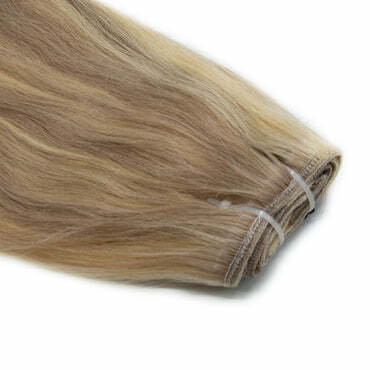 Use a needle to sew the machine weft hair extensions to the braid of your real hair. With 20 inches weave hair extensions, MCSARA always hope to provide our best hair product, hoping you to be really successful in changing your appearance.